Thanks to all who responded! Good stuff! This "HBTF do not make contrails" bunk meme is quickly being taken on as paradigm. 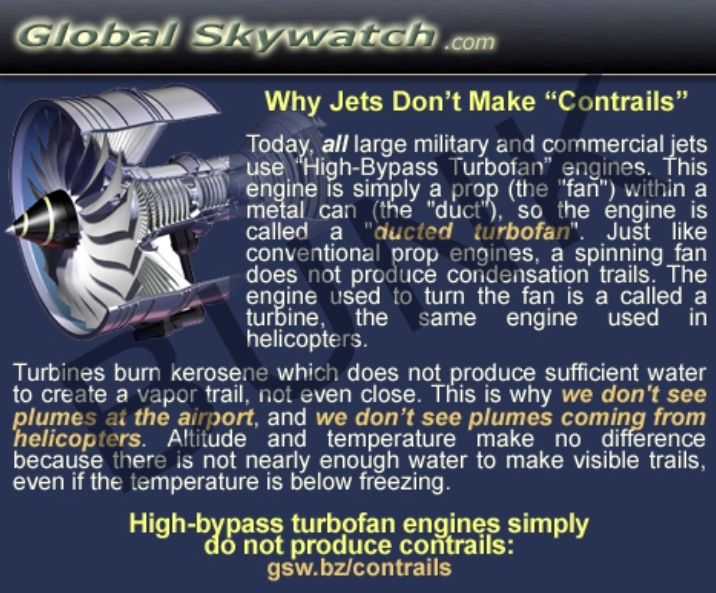 Rather than a rational discussion about ordinary contrails formed by water from combustion turning into ice crystals the bunk promoters are bypassing the whole point and newbies haven't a clue. If we let this continue it will mean thousands of people will buy into something which is totally false. It needs an easily understandable video debunking and infographics. The focus needs to be on the amount of water produced in combustion. The input I used was 1 gram kerosene for simplicity and the product shows that 1.37472 grams of water is produced. The simplicity here is that 1 gram could be 1 liter, 1 gallon, one pound, one ton, one of anything. The ratio is therefore derived to be 1 : 1.37472, for every 1 part kerosene you get 1.37472 parts water. I know that this is too technical for many CT's to understand. The best that can be done is for one of our artistic talented members to create a good graphic showing how it works. Maybe more than one at different levels of complexity leading them through. Dane & Co. are right, KISS graphics are the most effective way. As a nitpick, that ratio relates to weight (mass, strictly). It doesn't work for volume, because water is heavier (denser) than kerosene. 1 litre of water weighs 1 kilogram (almost by definition! ), whereas 1 litre of kerosene weighs about 0.82kg. So 1 litre of kerosene will actually produce 1.37472 x 0.82 = 1.13 litres of water. Not a huge difference, but worth pointing out. I think that if we are talking jet fuel we should stick to mass and quote it in tonnes. Planes burn tonnes of fuel so they create tonnes of water. Volume is needlessly complicated, especially as the water is formed as vapour and then freezes into solid! It think this is overcomplicating things. The problem here is that were are not dealing with a very coherent argument, so piling science on top of it is probably not going to help. The second one there is so incredibly wrong in so many different it looks like trolling. But sadly it's being passed around as some kind of evidence. 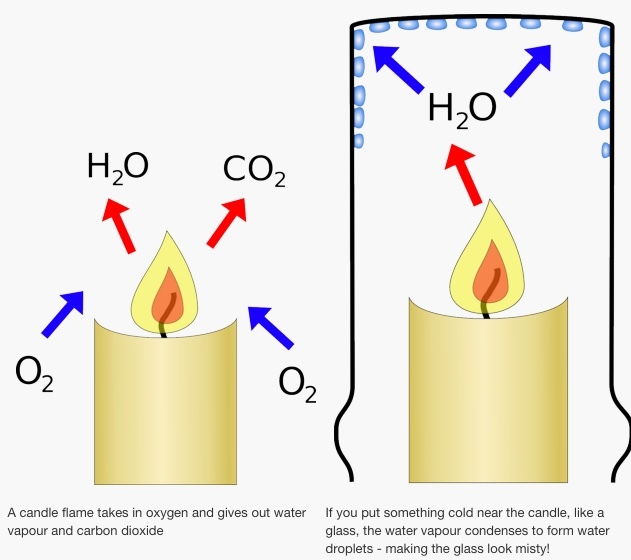 I don't think you can just explain to people that the products of combustion of kerosene include a lot of water, and have them realize that the above two diagrams are wrong. We've got to keep it really simple. Prop engines do make contrails. Combustion engines (including turbines) produce the same amount of water per litre of fuel combusted, regardless of which "type" (old jets, new jets, helicopters etc). 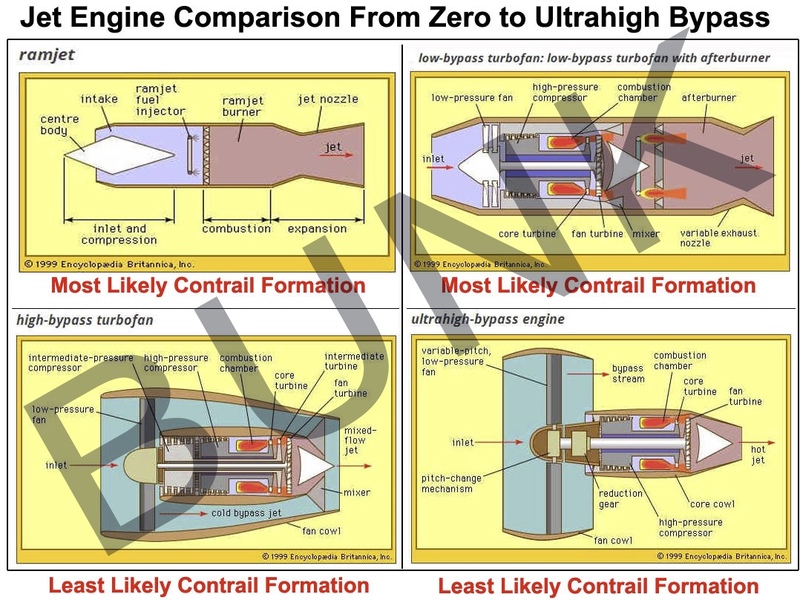 In the sense of newer HBTF engines, they are no different regards the amount of water (per fuel) byproducts. Also, regarding the perfect theoretical stoichometric combustion figures of water byproduct, to keep it simple. I would use a "rule of thumb" that there will be generally at least the same amount (1:1 ratio) of water per litre of fuel, regardless of combustion engine type. Maybe something like "If you attached a bigger fan blade to your car engine, would that stop exhaust coming out of the back?" A lot of them seem to think that the fan is somehow magically providing the propulsion independently of the engine. and have them realize that the above two diagrams are wrong. i cant even understand what i'm looking at with the first graphic. (so i doubt many others can either). A fan alone cannot hold up a commercial airliner, you need an engine. EVERY engine that burns fuel (ie. "combustion") produces water. End of story. ^^ that means nothing to me, just fyi. i know its supposed to be an answer. Just saying ive seen it 100 times and it still means nothing to me. Of course their graphics and assertions mean nothing to me either... meaning i cant even figure out what they are saying in the first place. Complicated science is not conducive to viral propanganda (?) no matter which side its coming from. People may cite the chemmie version [add: because it LOOKS impressive], but in truth noone has any idea what they are saying either. just like those radar things. Thats why the viral stuff is only pictures of clouds and trails with wording photoshopped on them going "OMG!!!" And that's why it's so hard to debunk. They believe is to be true because of thought processes like "a person I trust posted an image and some they say proves it, therefore it must be true" quickly followed by "I'll repost the image to people who trust me". you already did what i was going to do on my 'engine' graphic above (i like that one better as it shows the Fuel spraying into the tank and points to the "combustion chamber"). and you should have the combustion by product molecules IN the grey exhaust area without the plus signs. to show what flies out of the engine. The main thing is ANYTIME anything is BURNED (kerosene, jet a1, a candle,firewood) the combustion produces water, because the combustion process (the HEAT) ALWAYS breaks up the fuel into its elements, then the elements reattach themselves to each other and things in the atmosphere to form new molecules. To me thats Dane et al's debunk. There's no reaon to get more complicated than that as far as i can see. unless they get rid of "fuel" completely, there is going to be water as a by product. Once i learned this aspect (which was easy as there are youtube "combustion for kids" videos), that was it. I know what Dane et al are saying is bunk because its physically IMPOSSIBLE not to have water as a by product from fuel combustion. I think the more advanced debunking is fine. But the general public isnt going to be able to follow it unless they put in alot of mental processing time, which most opponents wont. and the Global skywatch graphic is just silly on the face of it. 1. "Fans" cant hold up a commercial airliner sized airplane. 2. helicopters dont fly at 30,000 feet. 3. We DO see contrails at airports in Alaska etc where its cold enough at ground level. 4. Burning Jet fuel is burning jet fuel. Same by products, whether you think the fuel is being burned to hold up the plane or is being burned to turn a fan that holds up the plane. Whereas, of course, it is ALWAYS heat expansion of gases, in this case, in addition, that of the partially-compressed bypass air into a cylinder around the exhaust efflux. A dramatic thrust increase, with a reduction in exhaust noise. and propeller drive engines - prop planes- DO produce contrails! I agree with Dierdre, the bottom line is that a 747 burns 14 tons/hour of fuel and produces a little over 14 tons of water as a result. Just an aside, many people who can't be reached scientifically CAN be reached emotionally. Humor, sarcasm, and perhaps sympathy might work for those who won't/can't understand the details. That is why a visual and OMG work to convince some folks of bunk. That is one reason Bill Nye was successful. The HBTF thing is indeed a "Big Lie", and yes as they repeat it this becomes gospel to the church since it comes from the High Priests. It is a great vulnerability to them as well because it is such a "Big Lie" that exposing it properly will lower the credibility of those who have been repeating it. You could call them "Contrail Deniers" or whatever but for people who realize what is going on this could make a great difference. They will come to know that they have been bullshitted on and told something completely untrue. It doesn't take much for some people to lose faith in a person they once trusted. Sometimes it is a real "ah-ha!" moment, an epiphany which throws everything upside down, changes it forever. There's nothing new in it, just the old misinformation repeated. Maybe Dane doesnt understand where the ENERGY actually comes from. It isnt possible any combustion engine would not produce water as a by product, unless he thinks the 'energy that flies the plane' comes from the molecules themselves. ie that the molecules are all 'burned into energy' in the combustion process. But that's not where the actual energy comes from. The energy comes from the chemical reaction of splitting the molecules... I'm having flashbacks of Mythbusters saying that bombs work the same way. Combustion produces energy. Where does all this energy come from? That's not correct though. You need energy to break those bonds. But more energy is released when the atoms form new bonds, forming carbon dioxide and water. yea the chart following that sentence in my link shows that. Maybe Dane doesnt understand where the ENERGY actually comes from. Actually I don't think he understands what he's saying. He's using the exact same words as the original video by that guy (whose name I don't recall) who introduced the idea that HBTFs don't make contrails. Dane just parrots that guy's phrases and sentences, which I think shows that he basically doesn't understand how these engines work at all. He thinks he's repeating some textbook text. Gosh, he even calls this "science"! Canadian Jack Baran was the guy that produced the original video. Some background. Canadian Jack Baran was the guy that produced the original video. Yes, yes, I should have just read the previous page of this thread. Interesting how a single video made by a misguided layperson has become one of the pillars of the chemtrail/geoengineering mythology. And all it took was a guy making a claim repeatedly in a serious-sounding voice, making the impression that he is some kind of an expert. It is often paraphrased as "not even wrong"
I just made this comment to him. He, or someone with access to the account, is removing comments. I had mine removed. Unfortunately it's impossible to make dissenting comments on any of the pages Dane administers, including his youtube channel. He deletes those comments immediately. I think he sits in front of his computer all day and plays whack-a-mole with the dissenting comments. It must be such hard work for these guys. Do they really think there are armies of paid shills spreading lies against them, or what? Yes they do - what else could it be?? That's been going around for quite a while. When you point out that they maybe had 3 minutes of water, total, the claimants just fade away. I stopped trying to post on Dane's vids some time ago. All dissenting opinions quickly disappear. 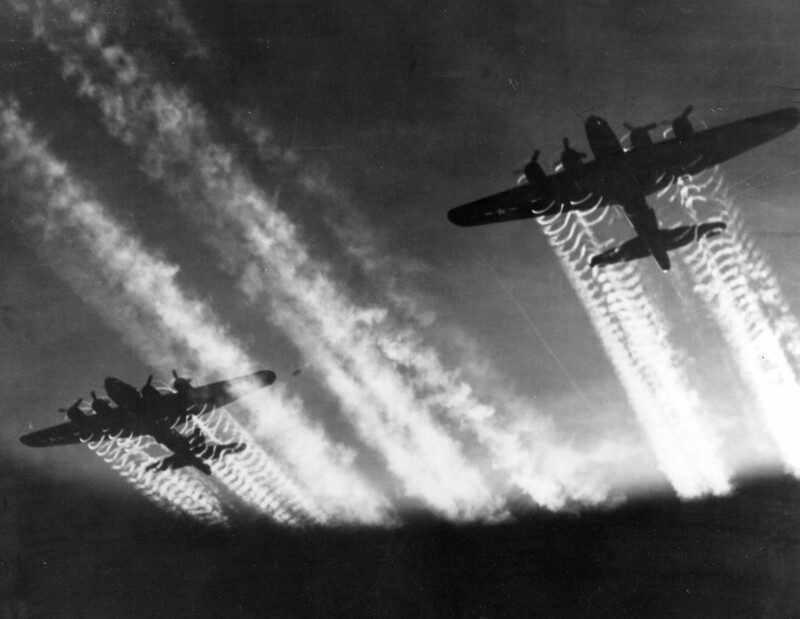 The issue of water injection systems in the B-17 was addressed in another thread, but some of the details were interesting. The Pratt and Whitney JT9D fitted on the early 747's had water injection. It was only used for take-off in limiting conditions and was for no more than three minutes. 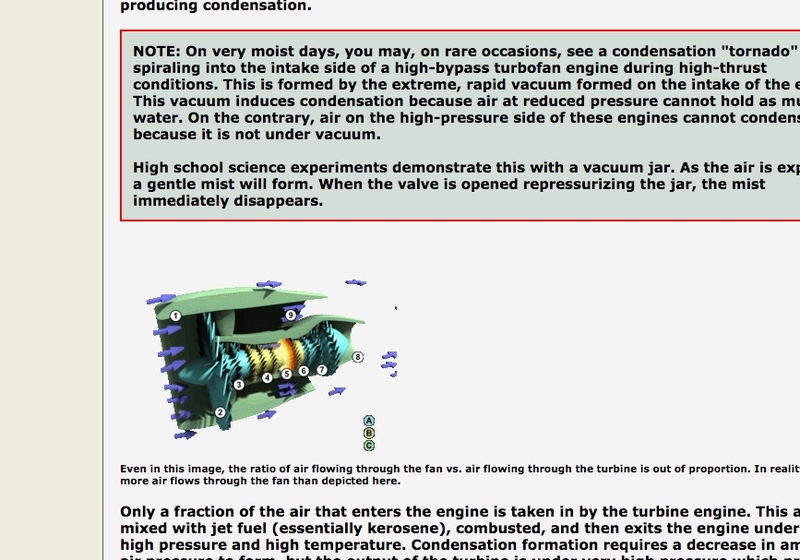 Interesting that Dane admits that water in exhaust, no matter where it comes from, can create a contrail. Isn't it more like 18 tons of water? Pointing to that 1.3 factor will probably evoke incredulity, but it can be an opening to explain the whole chemical reaction thingy where the mass of stuff going in equals the mass of stuff coming out.